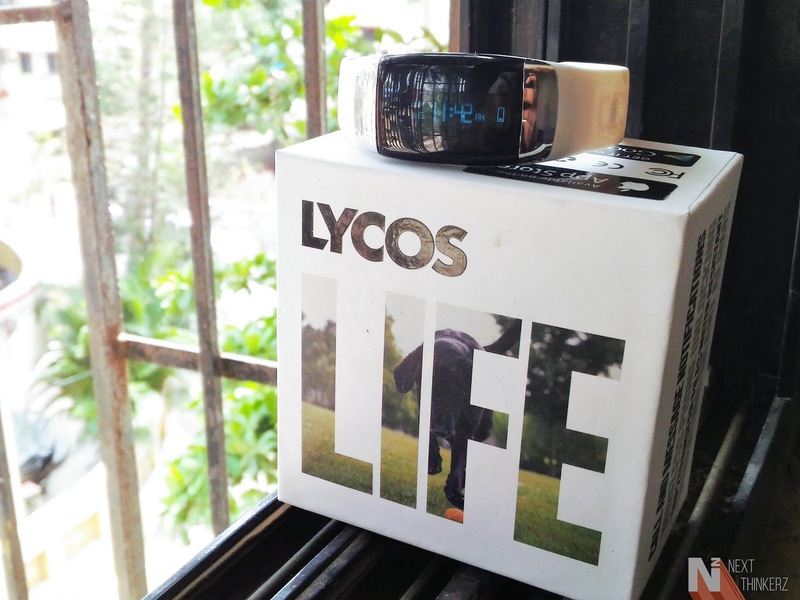 Lycos Life SmartBand Review: A band that brings back childhood memories. If you've heard about Lycos as a company, chances pretty much are that you know their history as a search engine back in the day. So due to the ascendancy of Google back in the 90's era, Lycos got lost somewhere. But the company didn't give up, They have entered into the wearables market and launched their very first fitness tracker devices. Just put "A Band" and "A Ring", this past year. Today these two wearable devices mark their very 1st year in the space of Wearable Category. The wearable category over the year has evolved a lot, introducing various type phases such as VR, AR, Smartbands, Smartwatches, etc. So it's pretty tough to be in the competition, where stakes are pretty high to be standing tall, To offer that very distinctive rare content adding ease of usability in our day to day lives. So since after being for about a year in the wearable market, Lycos has consistently been on a hunt to evolve, adding functionality to their existing lineup. I was lucky enough to test the Lycos SmartBand, while here are my thoughts about it. Does it really have, what it takes to be in that top notch spot? 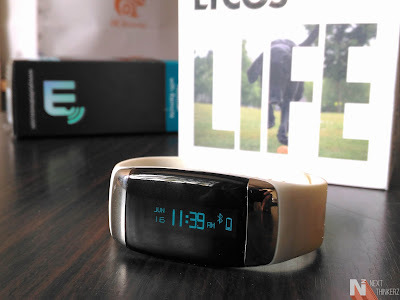 Let's find out about that in my in-depth review of the Lycos SmartBand. LYCOS Life, the wearable division of LYCOS markets both the band and the ring as devices which can replace your tedious passwords/passcodes using NFC to bypass your phone when they're in the vicinity of the phone. So NFC is the big bet here, apart from that the Band is a Fitness & Sleep Activity Tracker device. While it does have all the bells and whistles of a fitness tracker device, but in addition to that, it also functions as a smartwatch. Let's break it down in all of its aspects starting with design. The Band has been meticulously designed to fit properly on your wrists. The curved design gives it a futuristic appeal, and it feels comfortable in the hand. On the front, there's a capacitive touch display, which features a single neon blue OLED Display technology. Thus, there's only single color present on the screen; it does help in increasing battery backup. Since only the needed pixels to show the accurate information are listed up. Aside the display are two steel plates covering the left and the right end of the band. These plates perform an important task in revealing the heart rate activity. Apart from that, we have a heart rate sensor present on the bottom of the core unit, which resides along the unique magnetic charging clamp along with some FCC information. Then surrounding the core unit of the band we have non-detachable rubber strips, which also houses 2 NFC chips built on the front and the rear end depending on how you wear it. The band feels light in hand, and it doesn't add any unnecessary weight to your wrist. The two stainless steel clamps are present on one end of the rubber band, which fits properly in the adhered columns of the other. I would've loved to see interchangeable bands, but the only reason it cannot be removed is due to its tight integration with the inner module. Which I think is acceptable, so choose your color wisely! As mentioned earlier, it has a touch Capacitive Display with Neon blue digital color as it's one and only exclusive display technology. 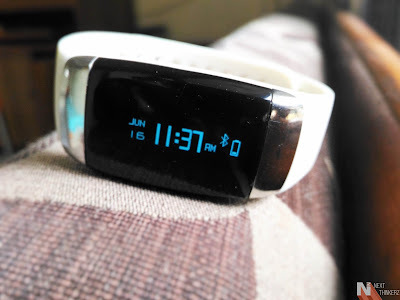 So with just a tap on the Display, it immediately wakes up the band & we're greeted with the Time, Date, Bluetooth and the Battery status icon in the most minimalistic design which is simple & visually clear. Tap again and you see your walking/cardio activity counter, tapping again displays calories burned. Whereas consecutive taps reveal the Distance covered, Stop Watch and Goal completion status in more of a funky and old school manner, which reminds me of the digital watches I used to wear back in my childhood. So it does the job of bringing back some well-known memories in one the most interesting design elements, which by the way is beautifully implemented, keeping things real. Sunlight legibility is also on par & I've had no issues with it, viewing in broad daylight. My only concern here is, If you're looking to get the distance covered the screen and let's say the band accidentally times out(Display), You need to perform the same task, which is Tap, Tap, and Tap. To overcome this consider firing up the app on your smartphone and get an instant feed off each & everything in detail. Although it would be nice to see, Left & Right swipe gestures been implemented in further updates. Yes, the firmware on the Band can be upgraded. We'll get on this in the software section. Once you crack open the box, the band is observed to be in sleep mode. Just slap the magnetic charger pin on the back and the display immediately comes to life indicating battery life and starting the User Interface. Alternatively, you can also tap and hold the screen to wake up the band. Once the band lights up, only head over to your Android/iOS smartphone and download the Lycos Life app. After initial installation of the app, just follow the instructions displayed which directs you to turn on Bluetooth and asks access to notifications, which was in my case(Android 6.0.1). Once the Bluetooth connection is established, the band is connected. You can then head over to the NFC alternatively for establishing the connection, although Bluetooth connection is triggered first. Then the app keeps asking for your needs and sets up the band accordingly. That's about it in the connectivity part. Although Android handsets provide a much better user experience than iOS devices regarding NFC connectivity. Since Apple is not that open, when it comes to their app ecosystem or letting developers to hinder with their core functions, though changes are happening and they might soon implement it in iOS 10 which was announced just yesterday. Up until now, I've noticed that Lycos doesn't display the hardware in this band anywhere may that be on the retail box or their website. So that's quite of a bummer, though it isn't hard to get the specs out unless we dig deeper. 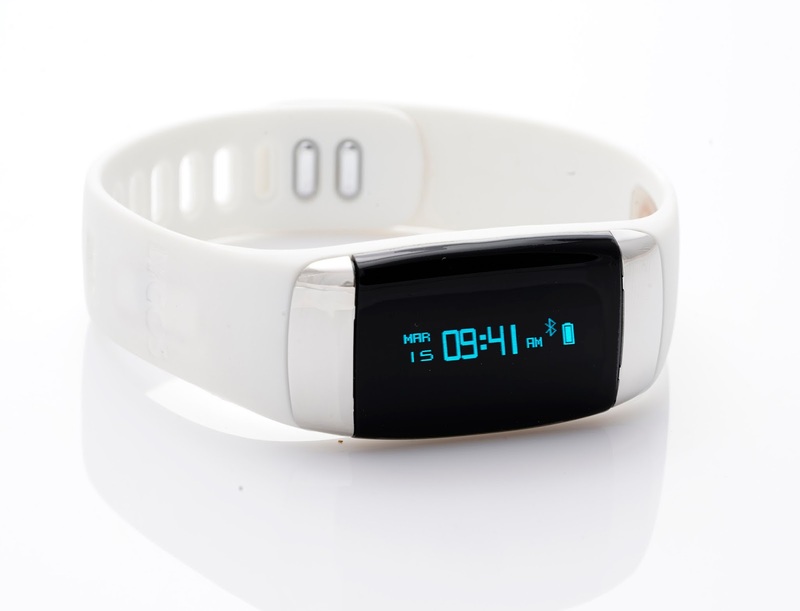 It has a heart rate monitor, pedometer, Bluetooth v4.0, NFC, it's water resistant and supports various other deep integration activities such as unlocking our smartphone via NFC. 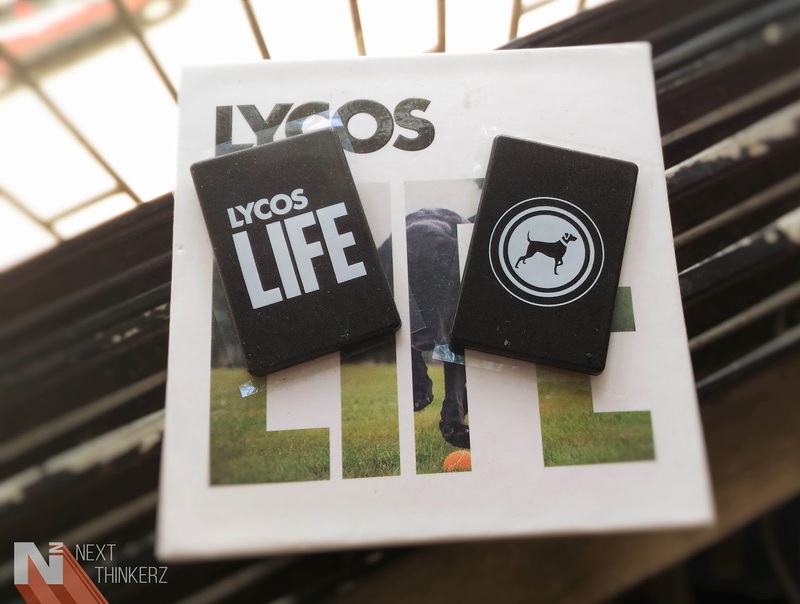 Lycos claims that any user can get up to 10-14 days of battery life depending on their usage. Whereas on the software side, it runs on a custom OS which is built specifically for the Lycos ecosystem. It has modules called “Security manager” & “NFC tags.” Both of these roles require NFC at its core to perform specific tasks, although you can also use the Security Manager feature without NFC. You can just tap on the display to navigate throughout the Interface since you cannot control anything from the band. 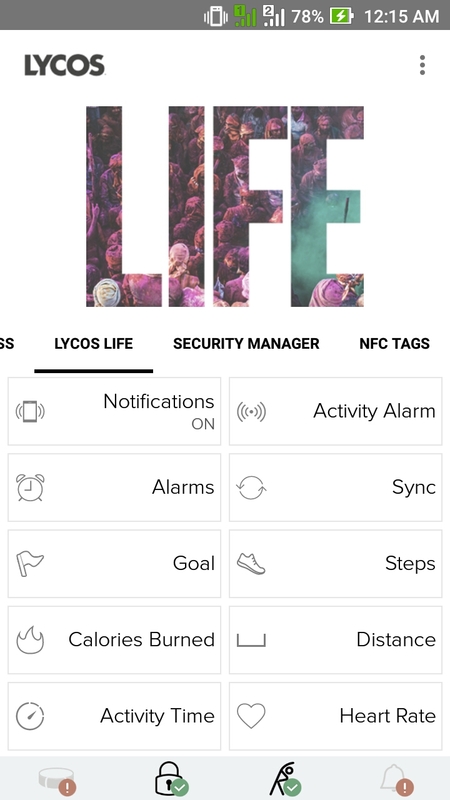 Everything can be customized on the Lycos life App. Though to measure your heart rate, you need to place two fingers specifically on the two steel ends near the display and keep yourselves calm. Immediately the heart shapes start appearing on the screen and within 4-5 seconds your heart beats per minute would be shown on the band. For further information you can head over to the App, we'll get onto this below. Whereas notifications from various apps can be displayed timely on the band. Tags present in the box. NFC tags present in the box can be used to save specific information, which can be shared with another NFC enabled phone user. For example you can use NFC technology to share a business card, Email Addresses, Contact Card, Phone Numbers, etc. This information can also be saved in the Lycos Life app. 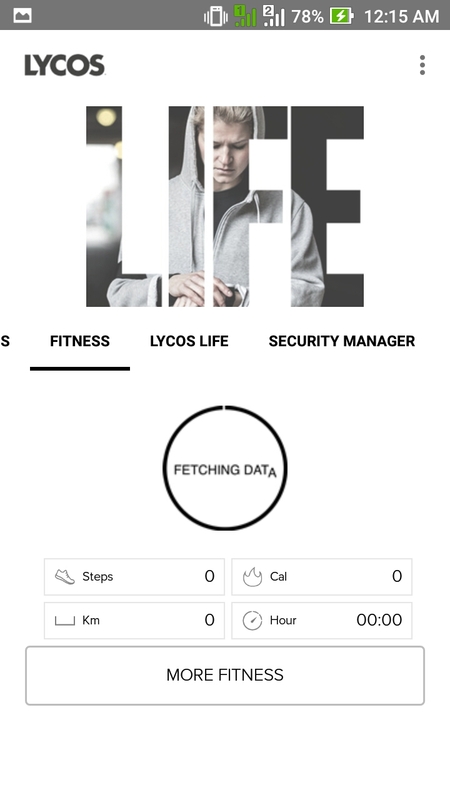 Whereas the software present on the Lycos Smartband can be easily updated via the Lycos life app. 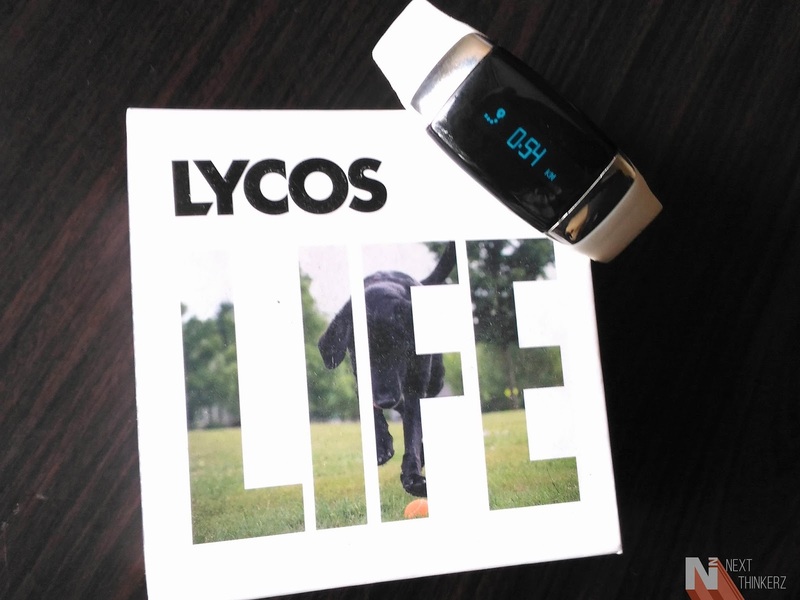 So Lycos is not only providing a fitness tracking option in this band, but they're trying to mesh the concept of SmartWatch into SmartBand. Makes sense isn't it? 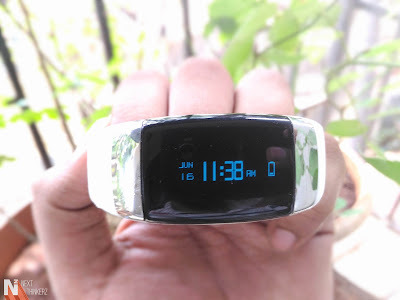 Why wear a bulky device in your hand, When just a simple band can do the same job of displaying timely notifications in a minimalistic manner? So thumbs up for this superior approach, LYCOS!. The Lycos SmartBand provides features like Tracking your fitness(Walking, Running) activities, Displaying Heart rate information and notifications from several apps. Just Tap, Tap and Tap you will get the relevant information If you require additional info fire up the app, and there you go. The Data collected on the band stays for up to 30 days, Just in case you accidentally deleted the App or cleared the data on your phone. Simply download the app again and sync it with Bluetooth, The stats would be back to normal. The Data collected could also be synced in with Apps such as Google fit on Android and HealthKit on iOS. Going forward, the NFC chips present in the band will also play a vital role in home automation systems, where you can simply wave your hand, and the particular task is automatically triggered. Eg: Unlocking a Door,turning on your WiFi, turning on lights, TV, Paying tickets, etc. In fact, Lycos asks developers to tap into their ecosystem and create something different with their products. Once you're exercising with it, let's say walking or running, The band does an excellent job of tracking your step counts. But those numbers aren't accurate; in fact it's odd to see it not updating in real time. But you can see the Goal Window updated in real time. 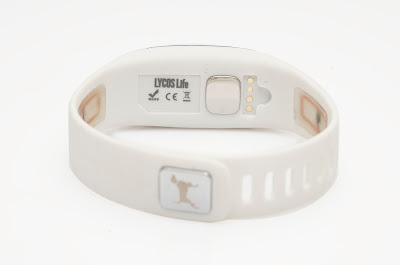 Just set your goal steps and you're ready to go as a progress window appears on the last tab of the Lycos Smartband. Whereas when you connect the band to your phone via bluetooth, the data will be automatically updated on your band. Real-time activity is relatively rare to see on many bands or even watches, so it just like any other band. But the accuracy lies in the north of 90-95% which cannot be said about many other bands when connected with Bluetooth. Depending upon that the calories burned are calculated and displayed simultaneously. 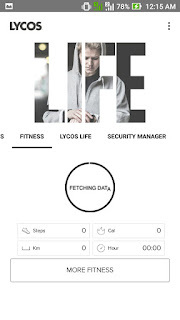 Overall the inbuilt pedometer does a decent job of providing detailed info via Lycos life App; I would've loved to see it updated in real time without a Bluetooth connection. Sleep tracking is another interesting feature implemented in this band. Where the band judges your sleep activity in three phases - Deep, Light and Disturbed Sleep. Depending on these three stages, they've distinct sub-phases such as how much quality time did you slept or when did you wake up, etc. This isn't interesting to me at all, rather than gimmicking it in front of my friends. But to be honest, this can be pretty useful while you're sick, As you can just fire up the App and Doctors can have an in-depth look at your sleep stats. Which could prove to be beneficial in medical fields for doctors and you as a patient. So Kudos on this, Lycos. 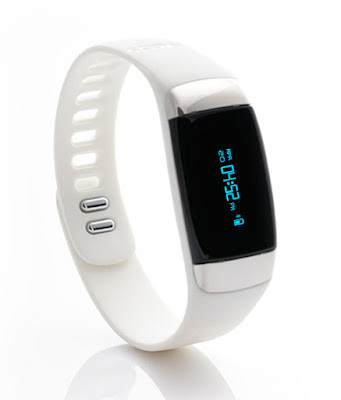 Finally, the third most attractive feature of the Lycos SmartBand is the heart rate activity tracking. The heart beats per minute are displayed on the band's display, once you perform the two-finger gesture as mentioned above in software section. The monitoring takes place by the steel clip present beneath the band and when our fingertips are completing an imaginary circuit like structure, which results in BPM. 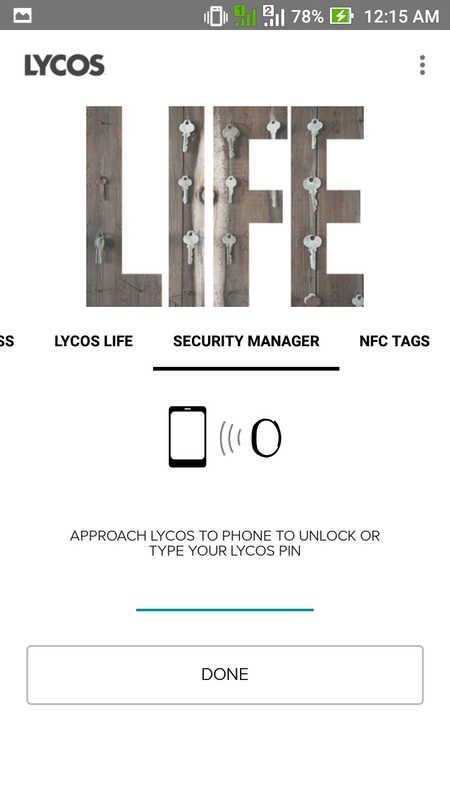 Whereas alternatively you can use Lycos band to unlock your Smartphone by setting up Smart Unlock feature in Android Lollipop 5.0+. Similar things can be achieved on an iPhone/iPod. Alternatively, the band notifies you to have timely walks or movements if you're sitting in one place for prolonged periods. You can set alarms for the app, and the band would vibrate to wake you up accordingly. So the App is available on both the leading platforms Android(V4. 3+) and iOS( 7.0+). 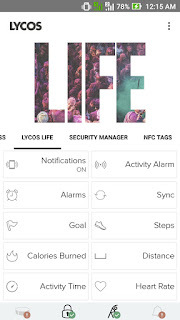 Currently, I've tested the band on Asus Zenfone Max running Android Marshmallow 6.0.1 & I've had few issues with the 1.60 version of the Lycos life App, but the newest v. 1.61 update fixes all the issues. So the App is the holy grail of any fitness app, I've seen to this date yet. This might be one of the cleanest fitness tracker app built yet. The vast array of features offered by the app makes me want to use this band regularly. Navigating throughout the app is as simple as performing left and right swipe gestures. Once you connect the band via Bluetooth, The app automatically syncs in the collected data by the band & showcases the required info accordingly. The App focuses primarily on displaying security features and NFC. The remaining part is observed to be concentrated towards health and fitness tracking activities. Everything is just so well organized, whereas navigation is easy & simple. 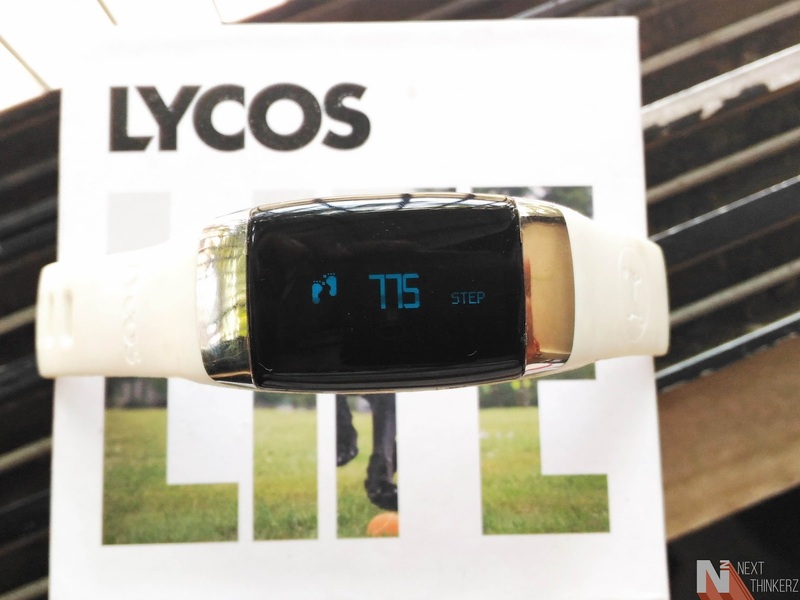 Once the Lycos smartband is connected via the App, Real-time stats are observed over Steps, Calories burnt, Distance covered, etc. It comes with the Lycos Smartband, a Charger, 2 NFC Tags & Some paperwork. Charging the band is crazy simple, just place the magnetic points from the one end of the cable to the back of the band & they self-align themselves. Charging speeds are fair enough, 1-2 hours of charge gives you 10-12 days of juice. The Band is available in six colors, and all of them look fabulous while striped on your wrist, just make sure you choose your color wisely, haha. Lycos Life Smartband review - final thoughts. The Company has also announced their Life Project, where they are donating 5% of their Sales to provide essential amenities such as free Water and Air Quality sensors to the needful. It's kind of interesting to see a search engine getting into wearable space and creating such a Beautiful product. Perhaps the data they've collected is helping them shape the wearable ecosystem in a more remarkable way. It's odd to see how brands like these, get faded away in the race of Chinese brands entering India concerning similar products. But by the way of Lycos's Approach, they'll soon become one of the top notch brands to offer something that's valuable in the wearable ecosystem, rather than to provide a bunch of products like the competition. Now for the pricing, Lycos Smartband costs you about Rs. 6000. Yes, I know this might be too much, But consider this - It functions as a Smartband, in turn, offering the functionality of a Smartwatch and that too at a feather lightweight, what else do you want? Rather than adding unnecessary weight to your hand, Lycos SmartBand does an excellent job of combining the best from the both worlds. You can currently buy it from Flipkart, Amazon, and Snapdeal. I'm pretty much satisfied by the unit that I've received, while I'm quite thrilled & glued for their announcements in the near future. What's on your mind, are you going to buy one? Share your thoughts in the comments section below. Also See: Asus Zenfone Max 2016 Review!